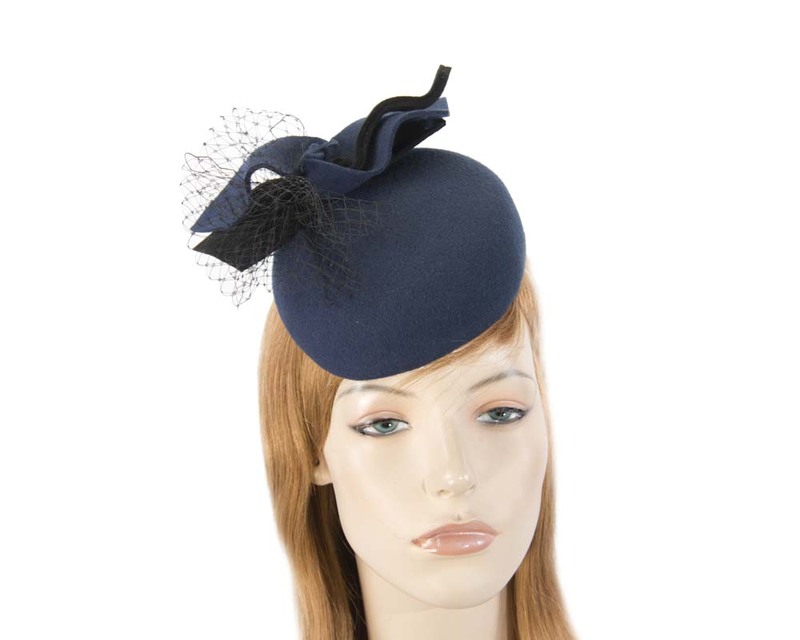 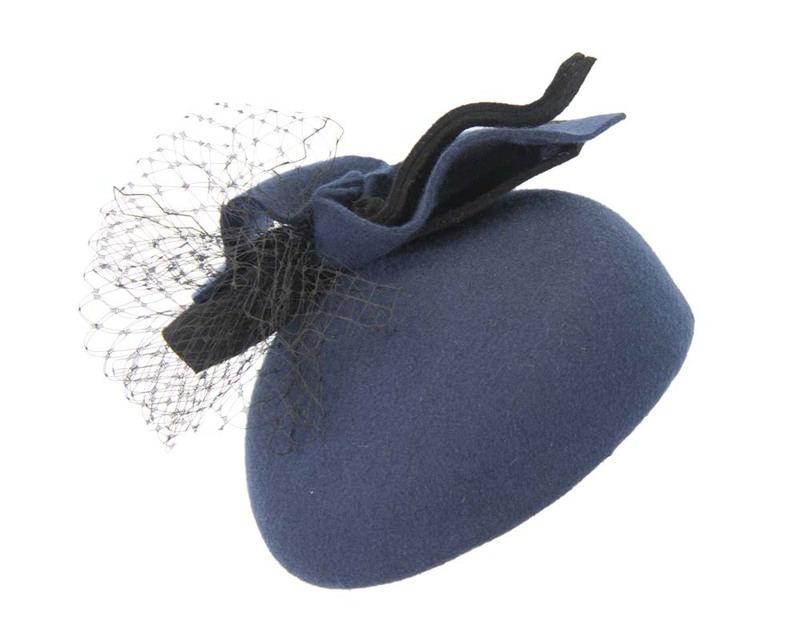 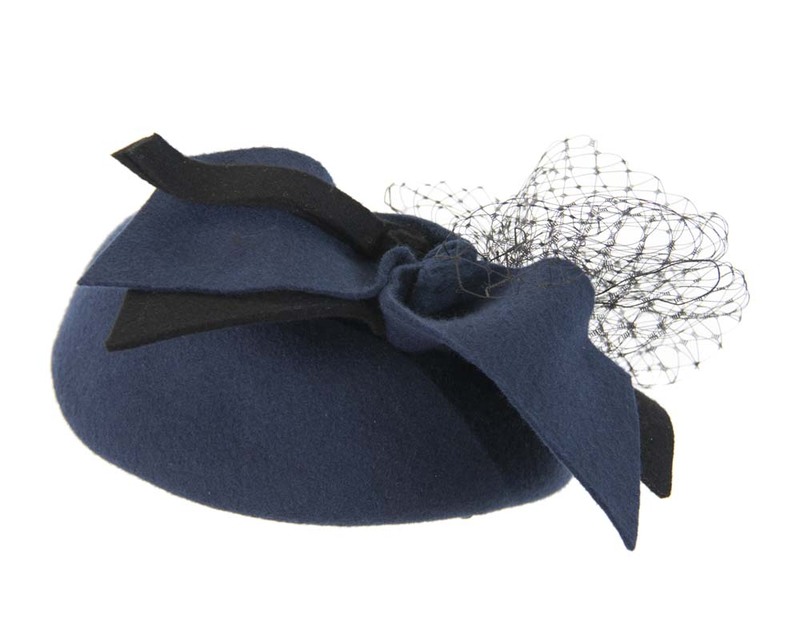 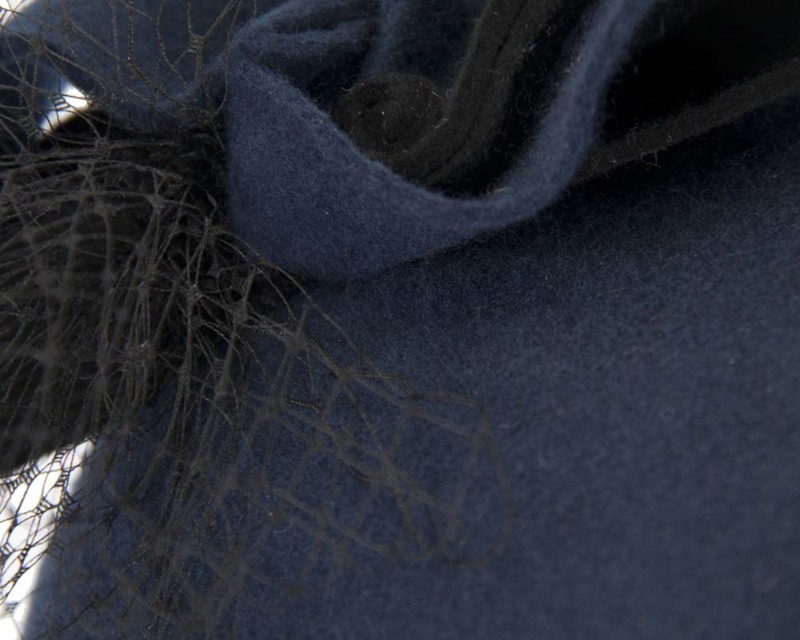 Navy felt pillbox from latest Max Alexander autumn/winter racing collection. 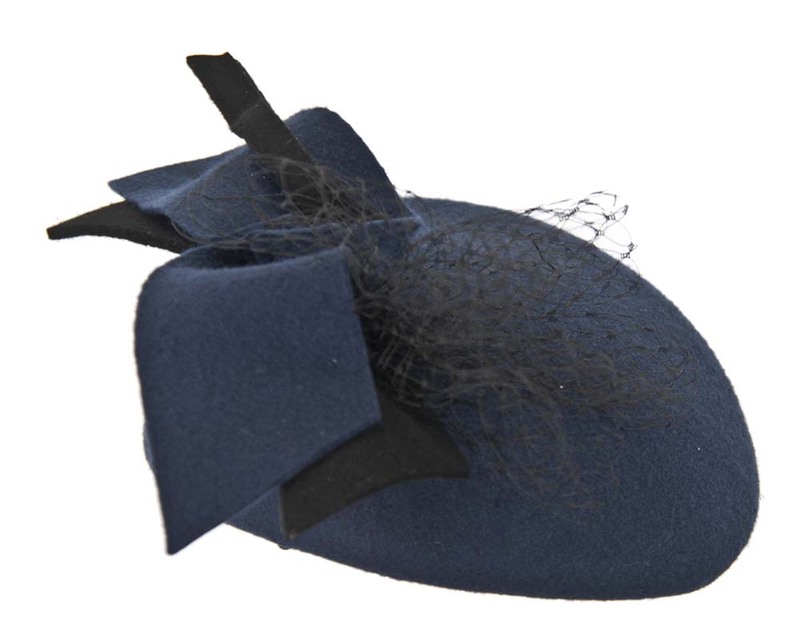 This fascinator is made from wool felt with addition of some black trim and veiling. 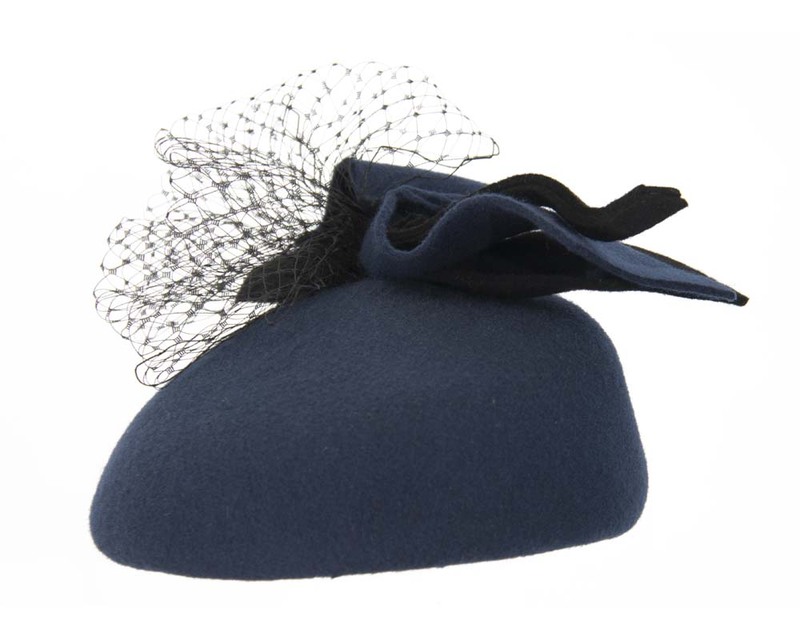 Great choice for next winter race meeting.